Reminiscing old-timey jack-o-lanterns, Pumpkin Moonshine carries all the mystery and excitement of autumnal colors and flavors. 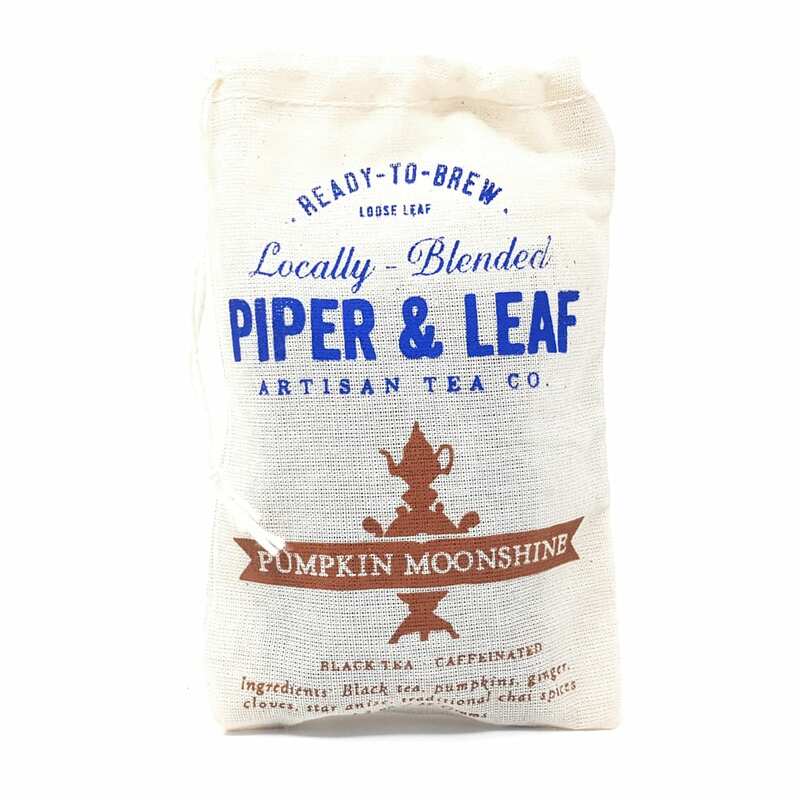 Local sweet Georgia Roaster Pumpkins add a special malty oomph to the friendly warmth of the ginger, cinnamon, cardamom which are all brought home by the sweet anise and caramel notes. No tricks. Just delightful treat. Get this autumn luxury while you can – now packaged in convenient pyramid tea bags! 9 silky sachets packaged in our new hand-illustrated, locally screen printed muslin bags.